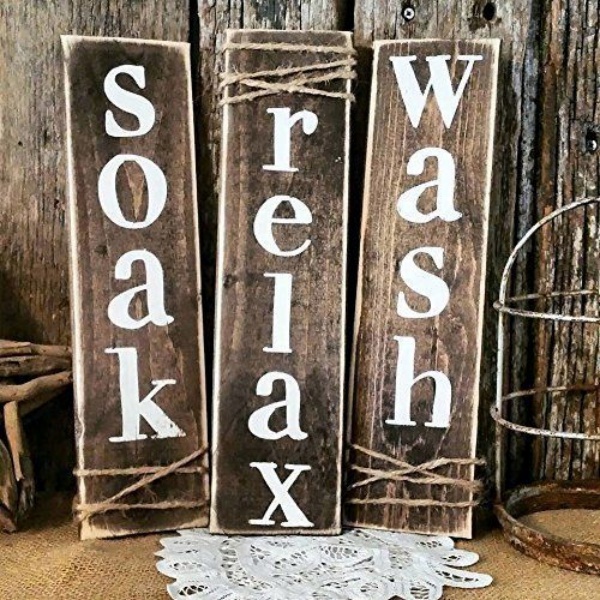 Happiness is a long and hot bubble bath! 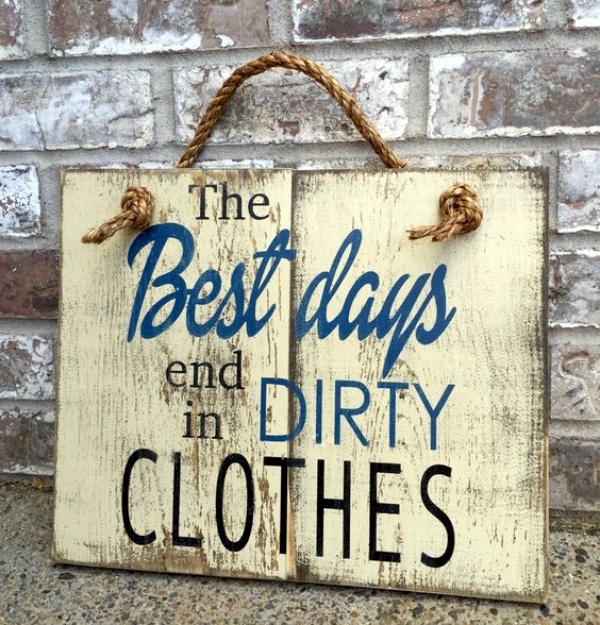 Don’t we all agree to this? 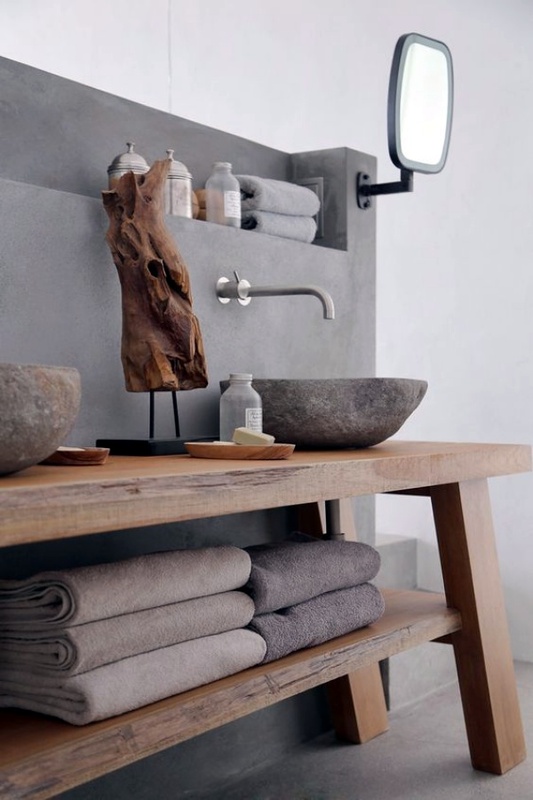 Since a shower in the morning has the power of charging you up for the day, it becomes very necessary to design your bathrooms in the best way. It should be a place which rejoices you, where you would love to step in after having a hectic day at work. 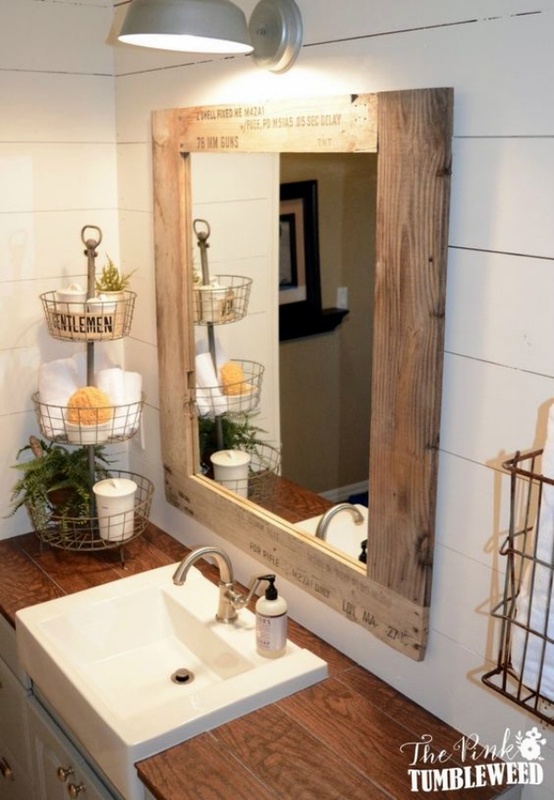 Get inspired by the Movie Style Rustic Bathroom Decor Ideas to feel like a celebrity! Lounge in whenever you want to amidst the beauty of its aesthetic appeal. After all, you deserve to feel extra-special at times. 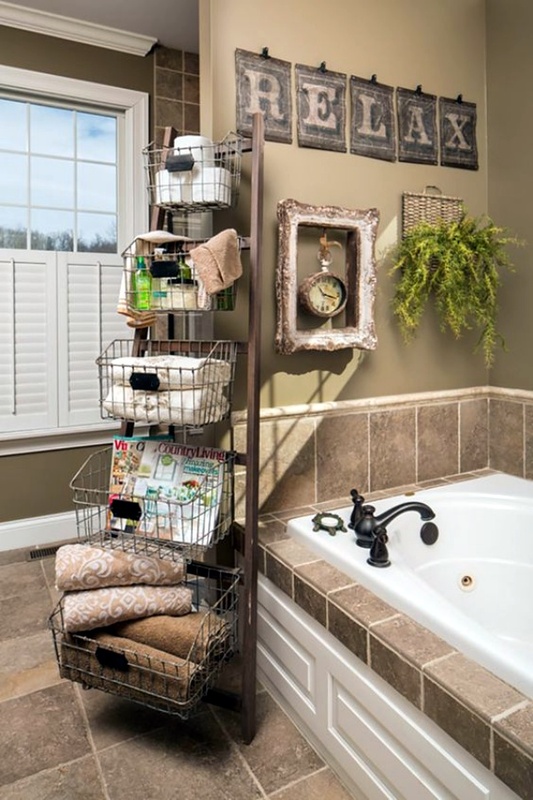 If you are an aficionado of collecting classic pieces, then you can use this idea to give your bathroom an edge. 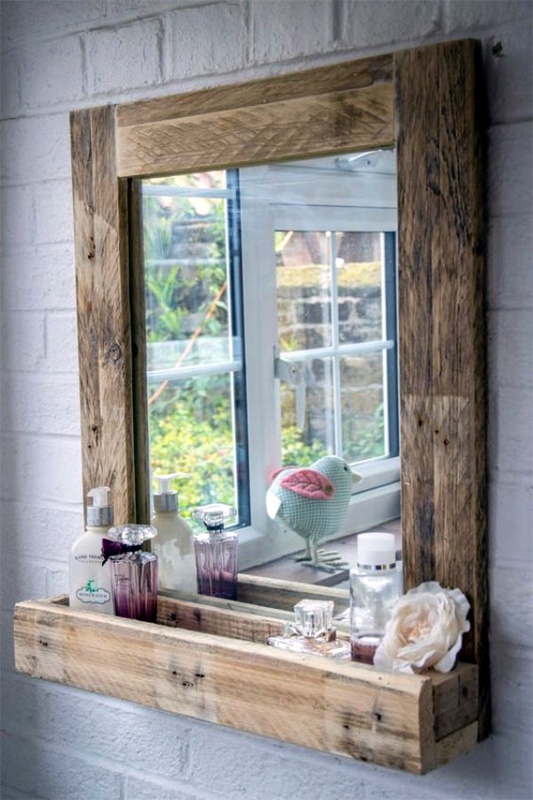 It can be anything from a vintage painting, to a quintessential mirror. The idea is to make it look really plush. 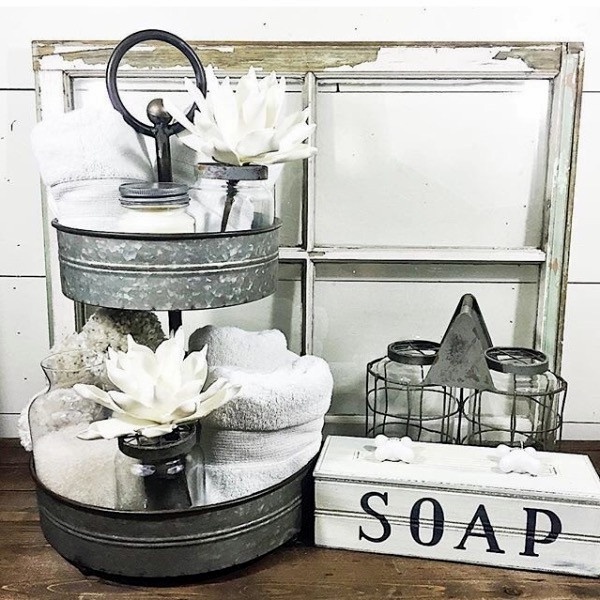 Soft rugs of fur, antique flower pots, and lovely lamps will give you the perfect bathroom you have always dreamt of! 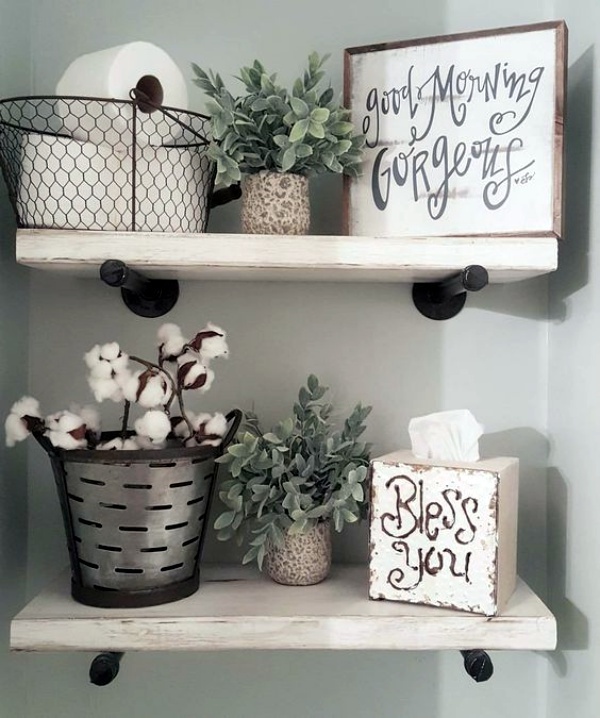 When Art And Craft Meet Your Bathroom! 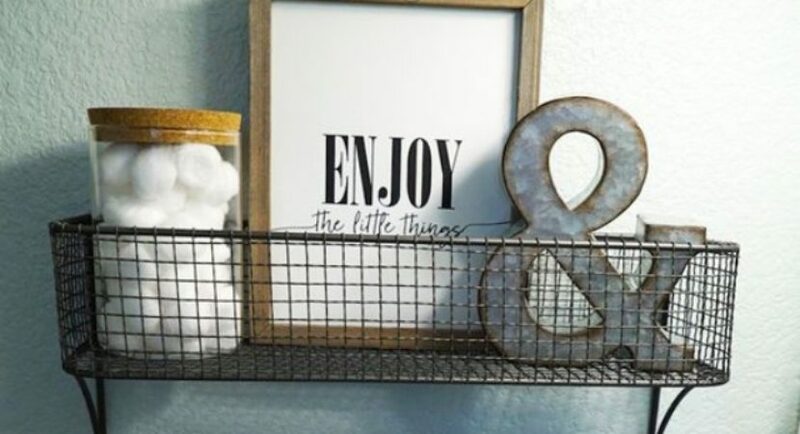 Want to try something artsy-fartsy? 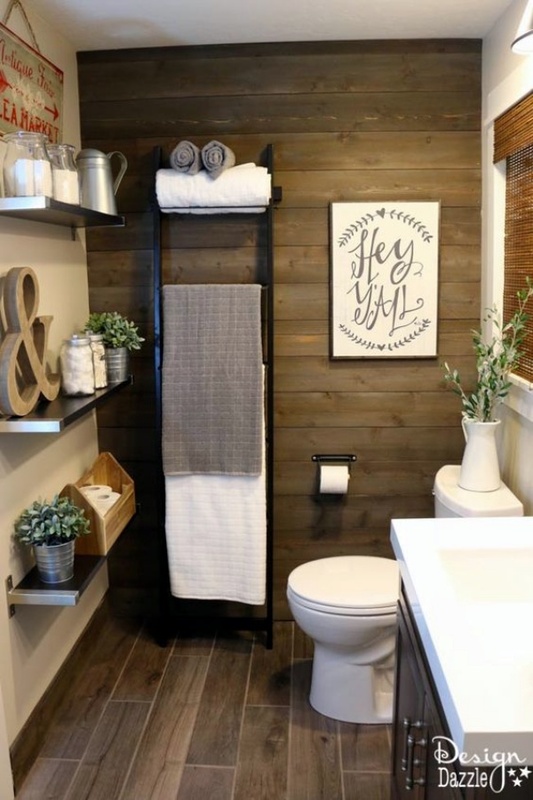 Well, this arts and craft themed bathroom is made just for you! 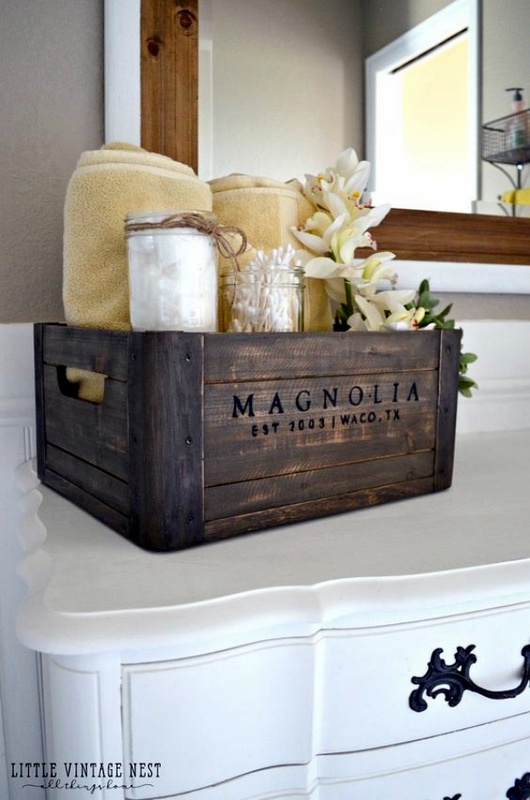 Whilst you want something rustic, opt for items that depict art. It could be anything wooden, or metallic. 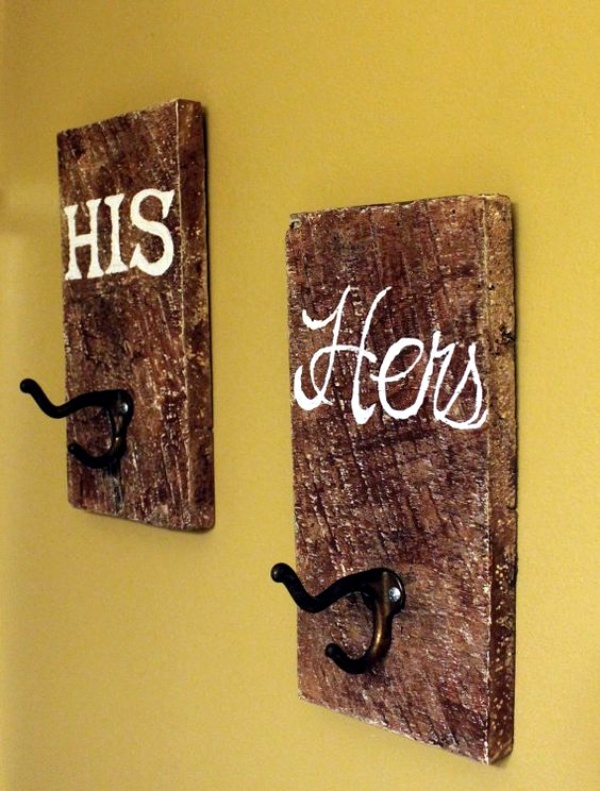 How about an intricate showpiece hung on the wall, or handmade wooden stools? 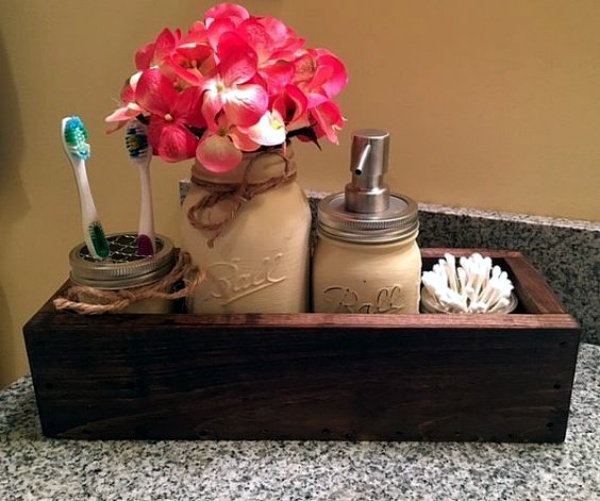 An artistic counter will definitely impress you! 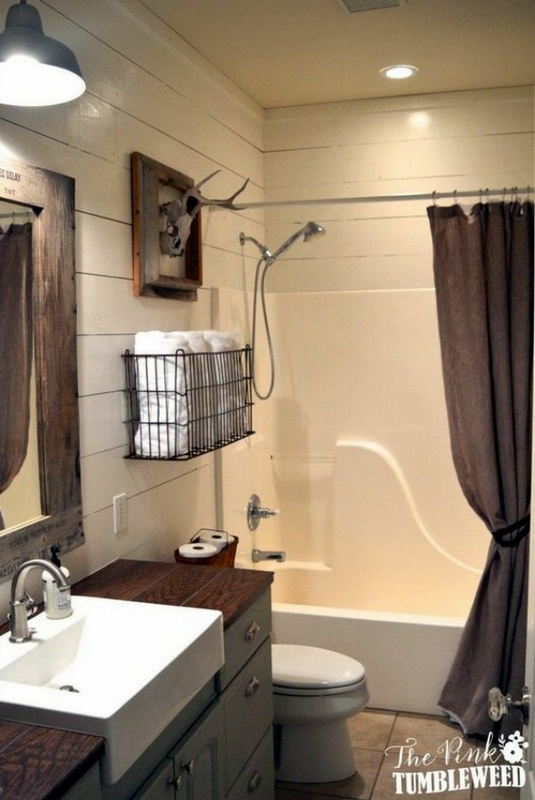 If you want to take rustic to a whole new level, then a barn-door theme is all that you need! 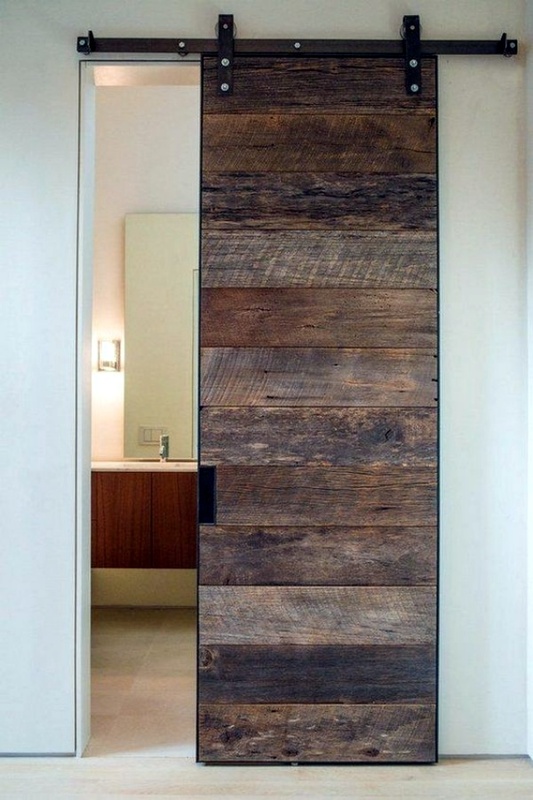 A barn door is easy to fall in love with, and when you use it in your bathroom, it makes things so interesting. 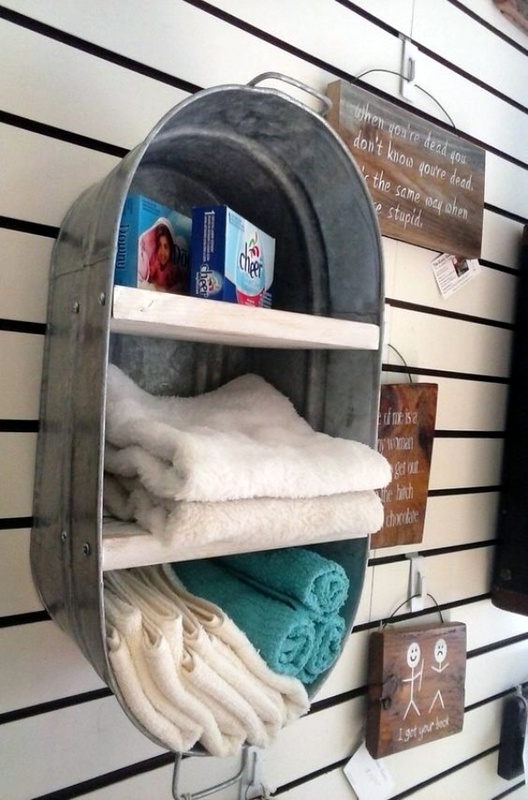 It adds a warmth to your bathing zone. 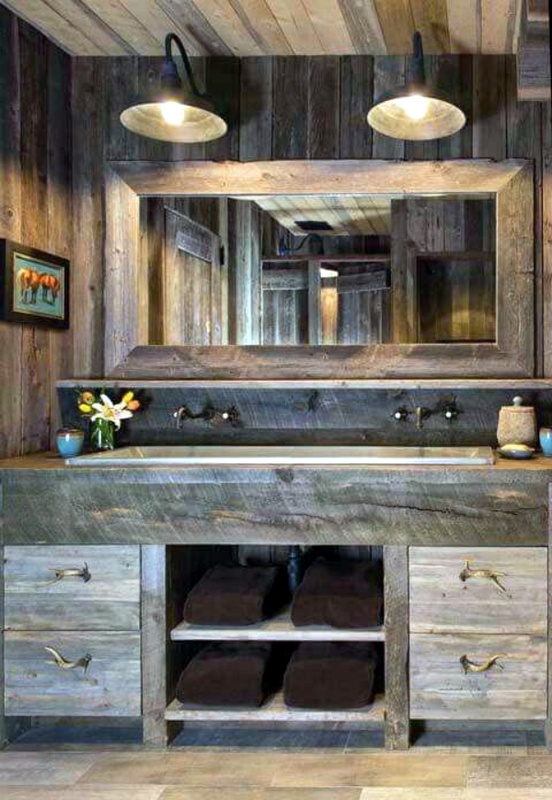 In fact, sliding barn doors are perfect for small houses. 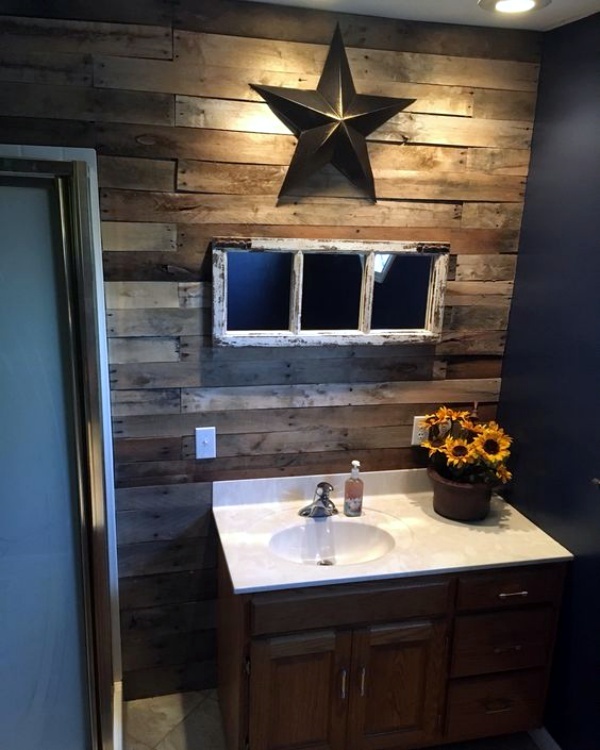 Just add some interesting wooden pieces, and your movie style rustic bathroom is ready for you! 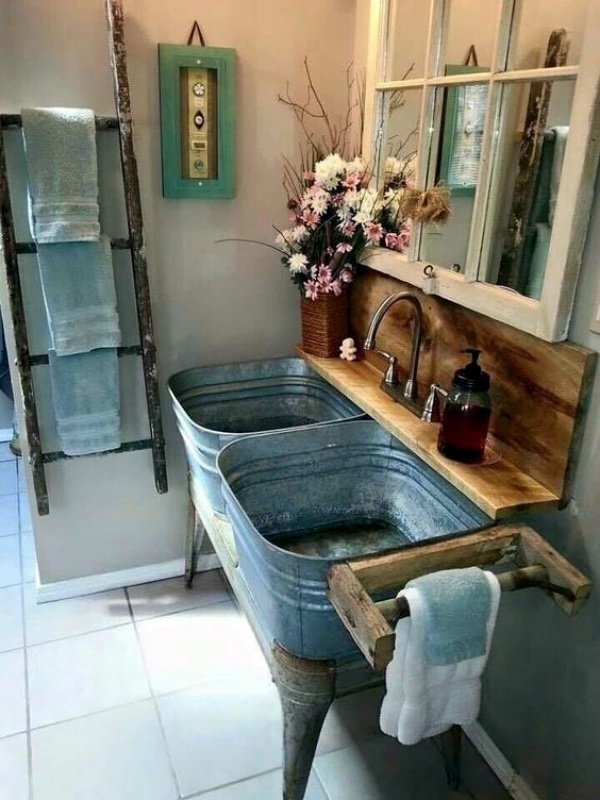 Being rustic doesn’t mean you have to be all dull. Brighten it up by choosing some dazzling colors like green, yellow, or even red! The idea is to make it full of vibrancy and life. 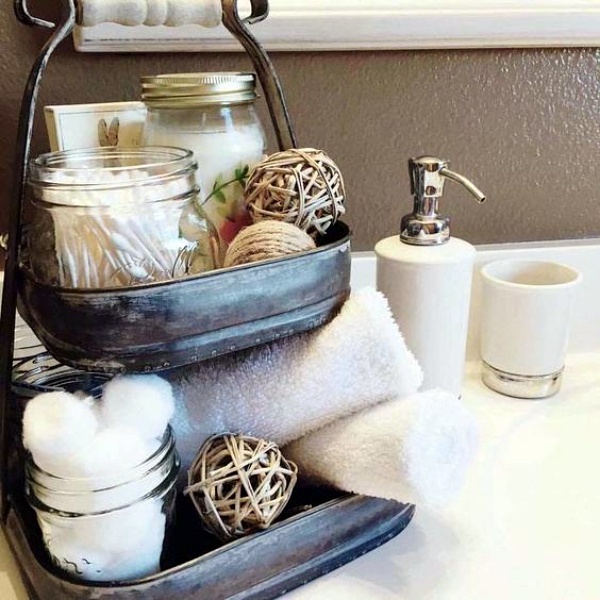 If not all colorful, you can add some bright colored items like a bright green rug, or a yellow tub. It’s all up to you! You have no idea what good lighting can do! 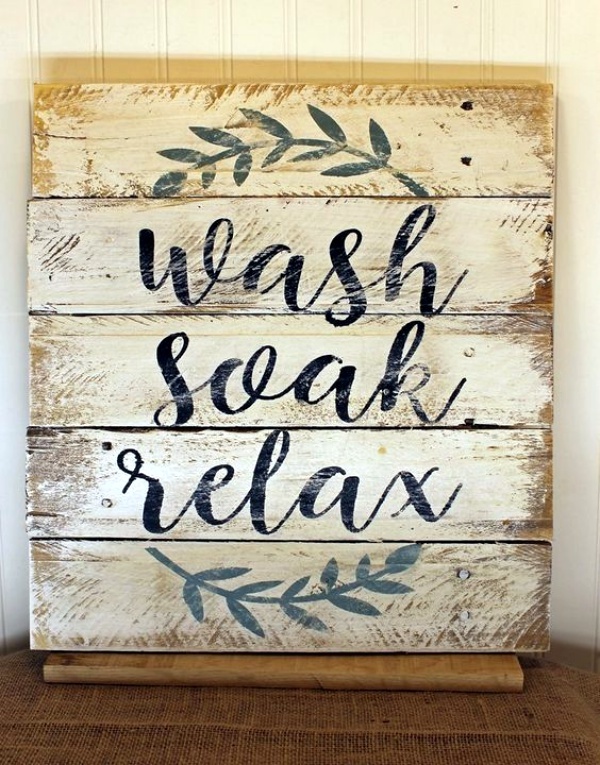 And this is applicable to your bathroom as well. 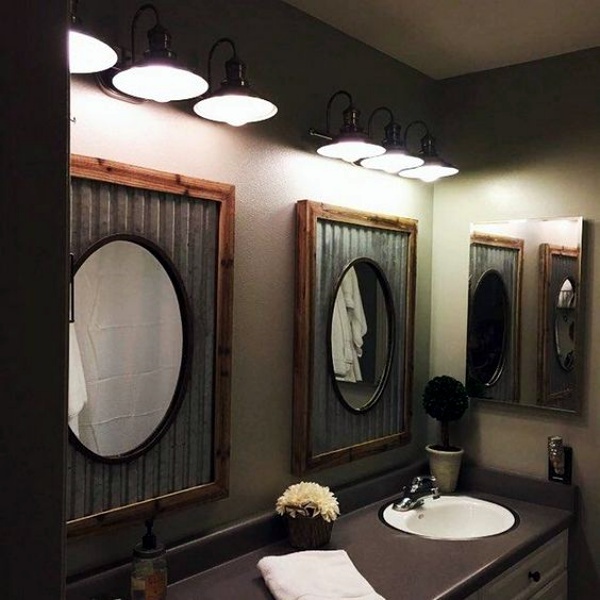 After all, you don’t want to feel gloomy in a dull and poorly lit bathroom. 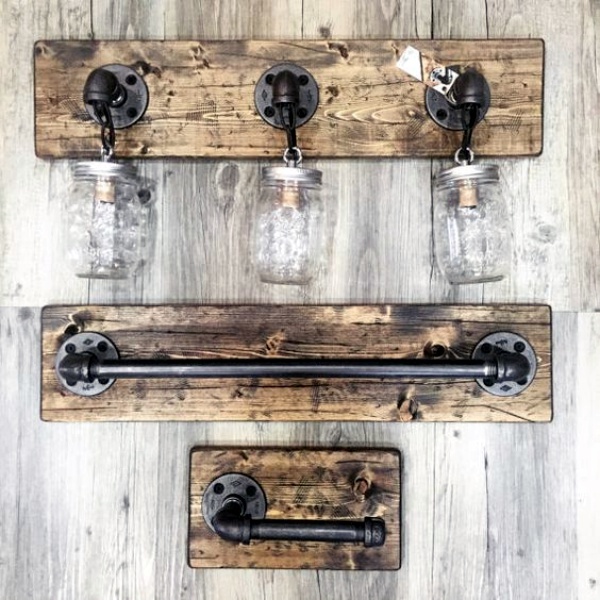 To give it a rustic feel, you can use some vintage chandeliers, and wall lamps. LED lights are a perfect choice if you want much brightness. 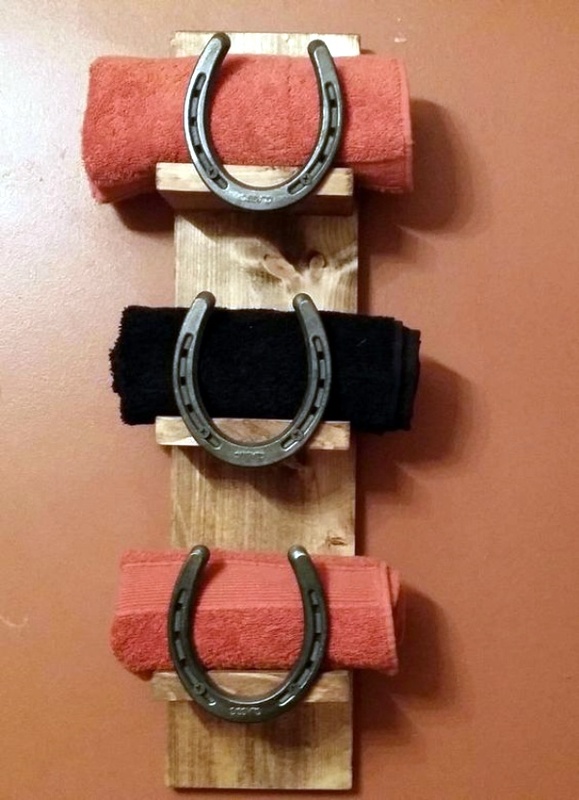 Why buy something new, when you can bring those old classics back to life! Take out those vintage pieces that have lost their lives. 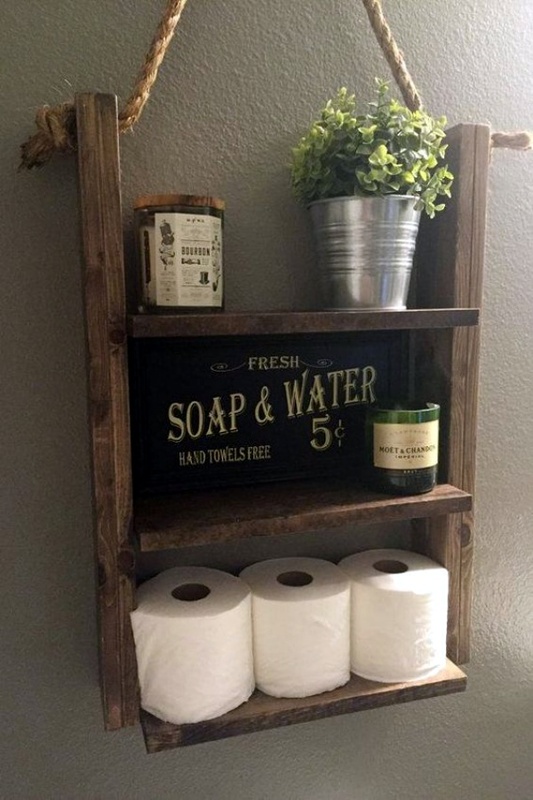 Be it a wooden shelf, or a cast iron tub, it’s time to restore them! A little paint, and polish, and they will become all new. 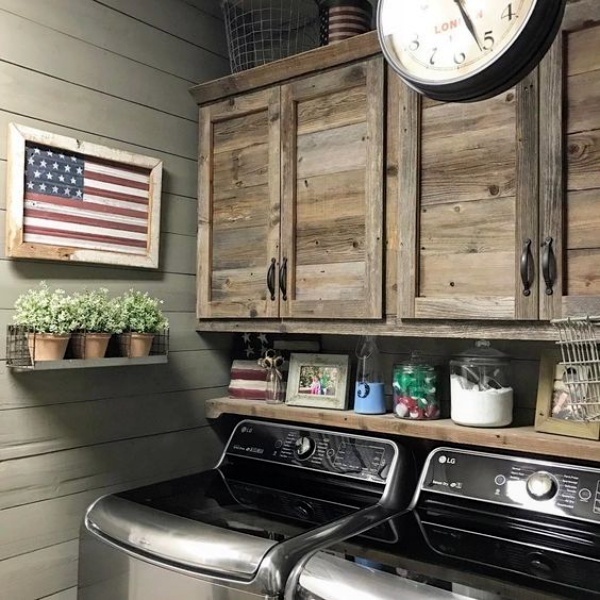 Oh, do not forget to use those vintage curtains! Time to take some serious inspiration from period drama films! 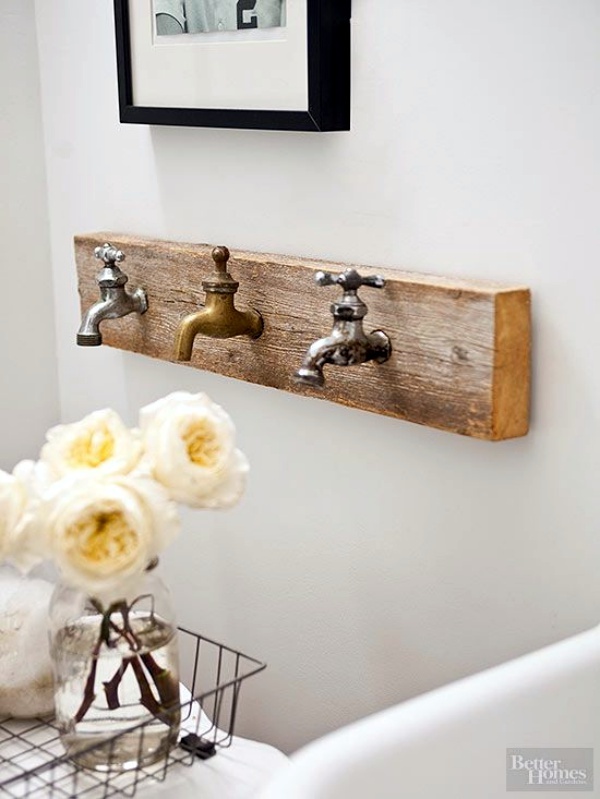 Turn your ordinary bathroom into a royal one by making use of some art pieces. How about turning an ordinary tapestry into a royal one? You can use gold-polished fittings to make it dramatic. Candles and timeless oil lamps will take you into the medieval era! 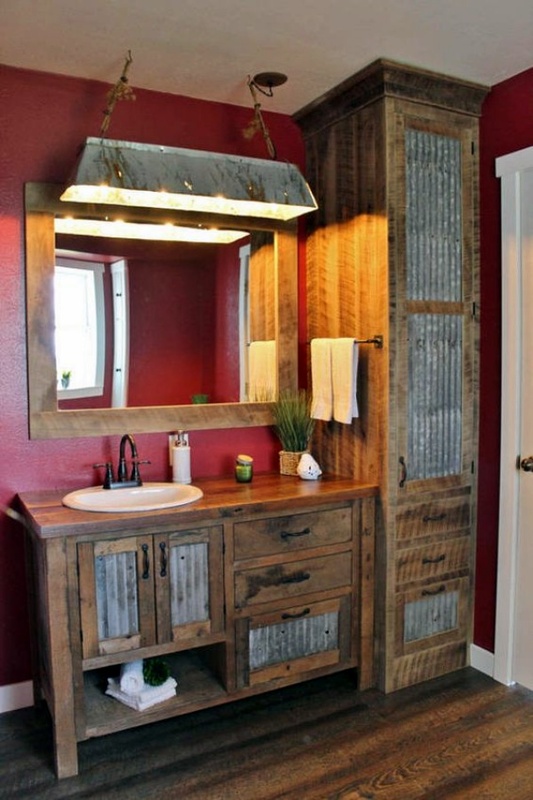 In fact, these stunning mirrors could be a great start. 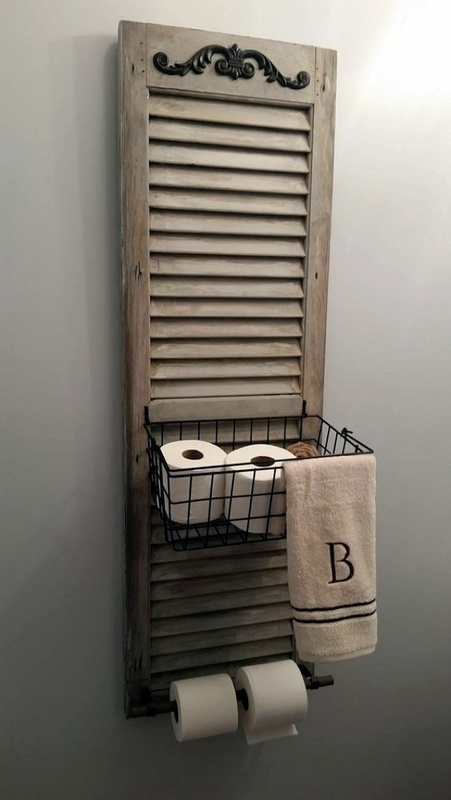 Sometimes keeping it pure rustic is such a good idea! 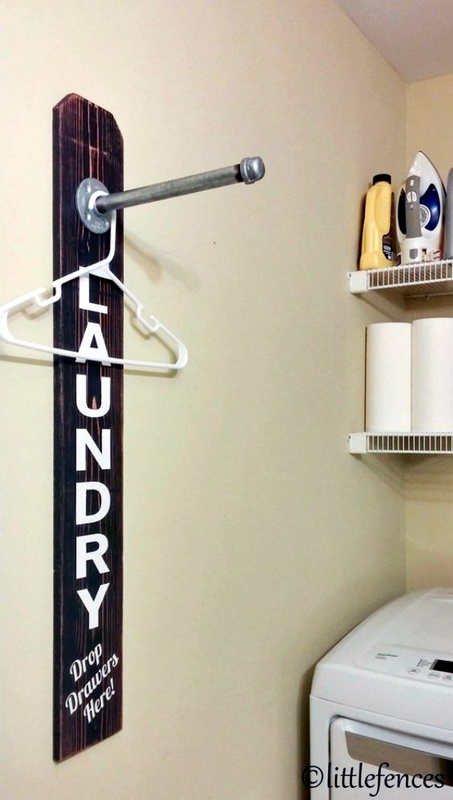 Now, you don’t have to be fancy, anything from wooden pieces to bold brass fittings will work for an agrestic décor. 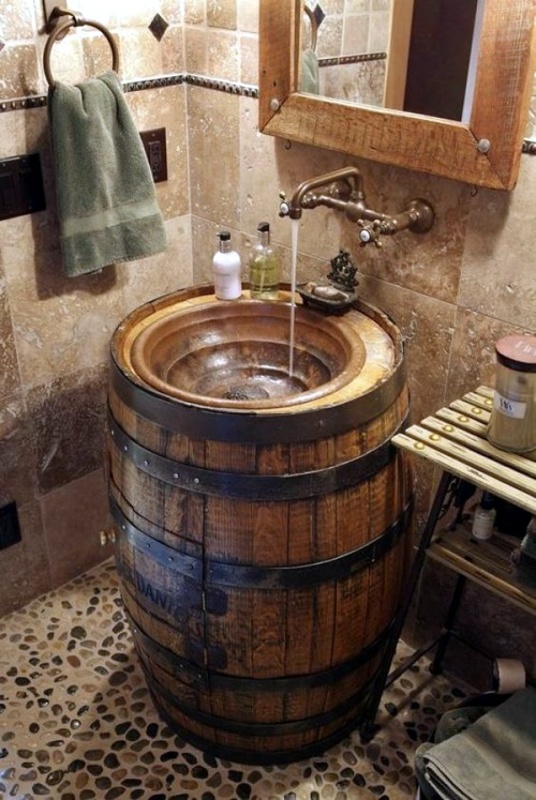 How about using an old wooden barrel as an inspiration for your bathroom’s washbasin? Or, what about bringing your garden inside by using floral pieces and designs to further decorate it! How about you develop a nice view inside itself for your romantic night with candles? Candles always were the part of romance, isn’t it? Want that exotic view while you lie in your bathtub having fun? Then, bathroom with a view is all that you need! 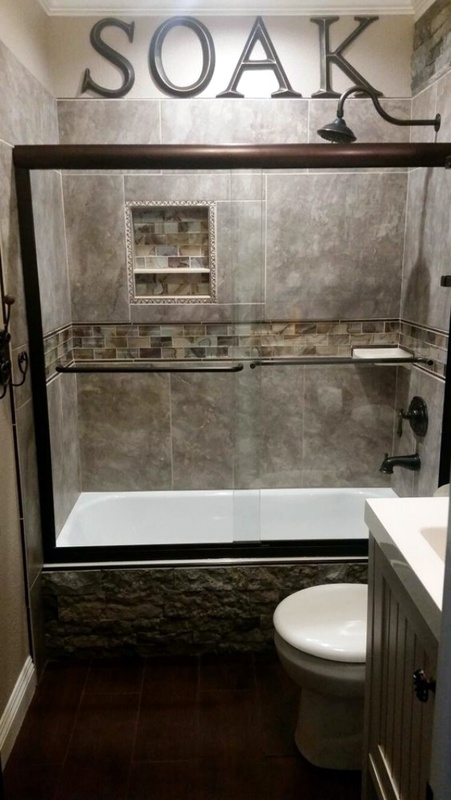 The key is to make a huge glass window in your bathroom through which you can enjoy the beauty of that exquisite landscape. 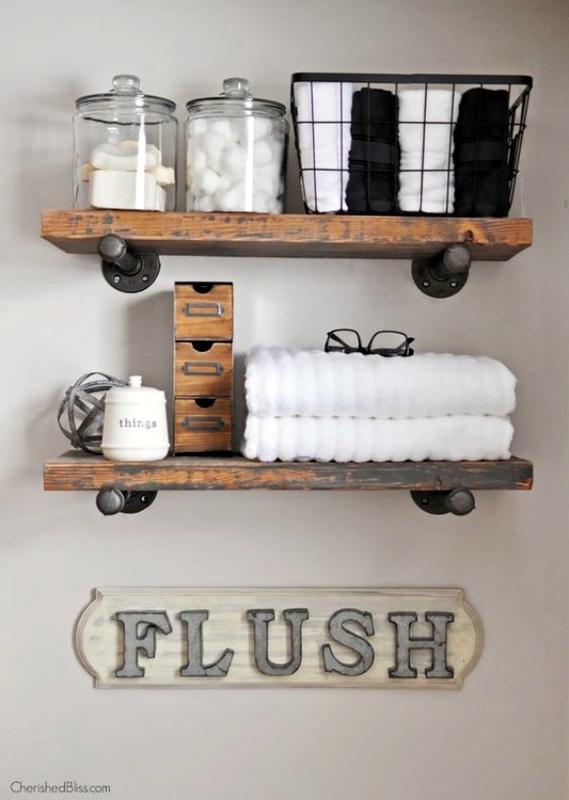 Keep the décor of the bathroom subtle, much inspired from the classic Hollywood days. 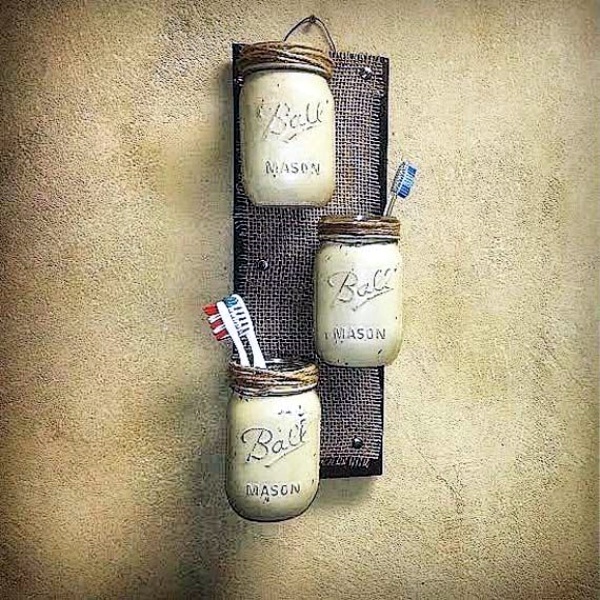 Being inspired by movies doesn’t mean you have to be detailed and ornate all the time. A white theme will be suitable for you. 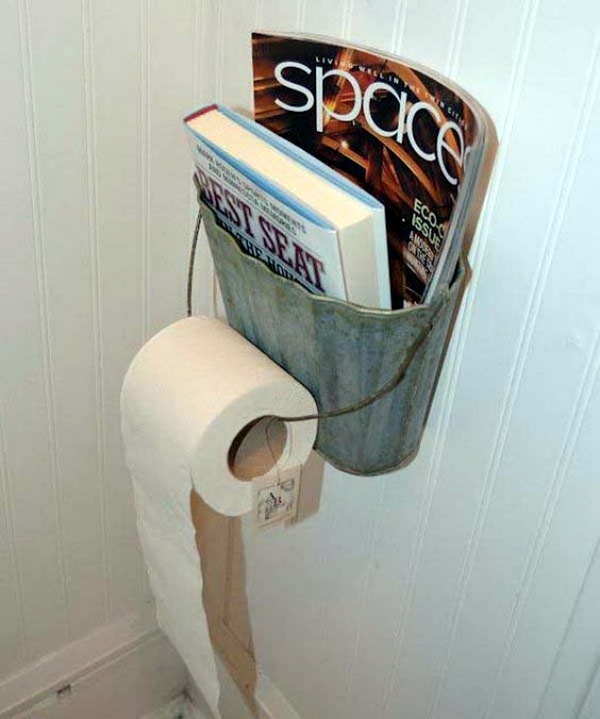 Try to keep the décor simple, rather than complex. 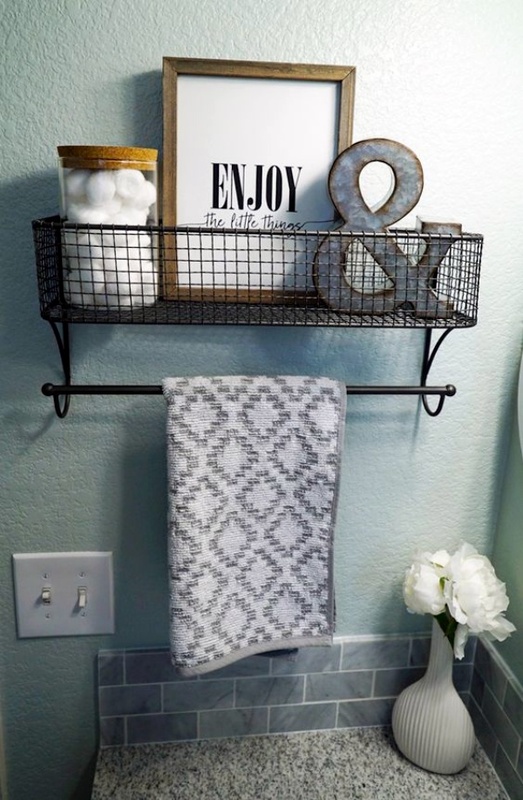 Choose white tiles as the base of your bathroom. 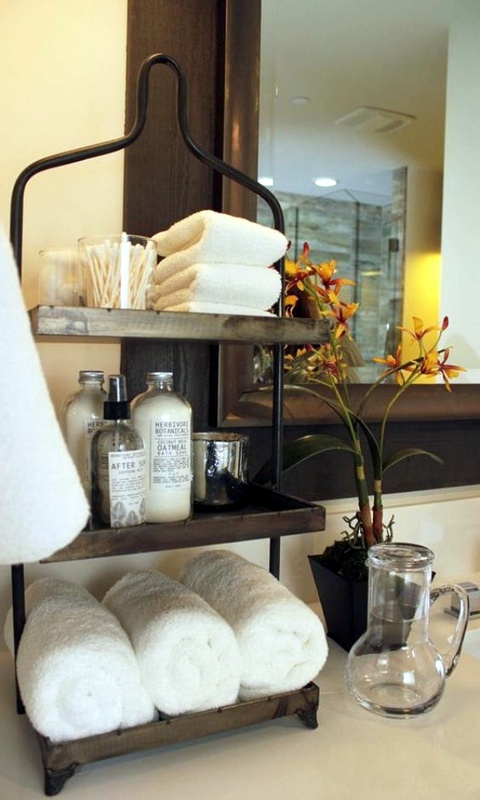 Make use of white shelf, a white bathtub, and a white counter. 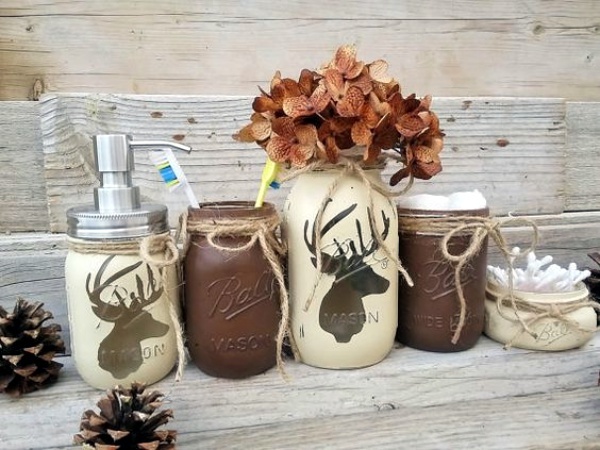 Some winsome white candles will make it even more delightful! 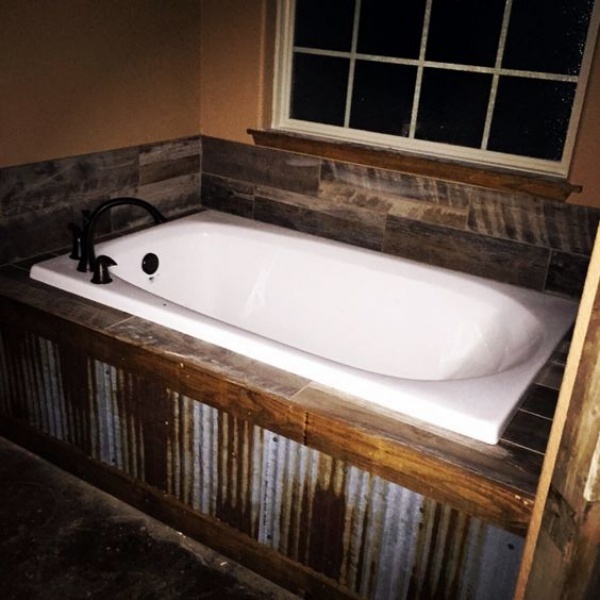 Gone are the days when you had to bathe in that boring bathroom, it’s time to refurbish it into a movie style rustic one! Happy bathing!